The credibility of Sri Lanka in relation to the settlement of the 60 year old ethnic problem of Tamils can be judged from the fate of several pacts, agreements and undertakings which were made from 1956 to 2009 and the Sri Lankan Government’s unwillingness to comply with the implementation of its own undertakings:- LLRC [Lessons Learnt and Reconciliation Commission] recommendations: The August 1 2015 UNHRC Resolution 30/1 and its delaying tactics in implementing the recent similar Resolution in March 2017. These recommendations can be described as the cornerstone of this resolution aimed to fulfill the targeted commitments of “accountability, justice and reconciliation.” Earlier Sri Lanka successfully killed the proposal mooted by the UN High Commissioner for Human Rights who recommended a “Hybrid court integrating foreign judges, etc,” and get the international mechanism with foreign jurists’ participation. Having fully committed to implement this Resolution Prime Minister Ranil and President Sirisena defended all the recommendations and PM Ranil even stated that there have been instances where foreign lawyers have participated and contributed their skills and knowledge in the legal proceedings in Sri Lanka like the appearance of Mr. Quass, QC in the former Prime Minister Bandaranaaike‘s assassination case in 1960. There were instances when eminent Sri Lankan lawyers have served as judges in foreign countries particularly in Africa. It is to be stated that the Sri Lankan constitution does not in any of its sections prohibit the participation of any foreign judges. What is not prohibited can be allowed provided the modalities of appointments are followed involving the President and/or Judicial Service Commission as required. It is relevant to quote the confusing and conflicting statements made by Government Ministers including the Prime Minister and the President in relation to the judicial mechanism and investigation. On June 7, 2015: Justice Minister Wijeyadasa Rajapakshe vowed to set up a credible domestic mechanism. On January 7, 2017: State Minister Lakshman Yapa said “Only logistical and technical assistance would be obtained.” [Daily Mirror]. President Sirisena, commenting on Consultation Task Force [CTF], expressed his disapproval of most of its recommendations including hybrid court and independent investigations into War Crimes. The above misleading and contradictory statements made to suit the occasions do however reveal the true intention of the Government which is only the rejection of foreign jurists reiterated in defiance of the operative recommendation No. 6 in the UNHRC Resolution. In the face of this plain rejection, to expect Sri Lanka to fully implement the measures identified by the UNHRC in the October 1st 2015 Resolution 30/1 is nothing but an illusion. The statements of the Government in relation to War Crimes, etc, are also relevant to evaluate the question of accountability and the necessity for a local judicial mechanism. October 16, 2016 in Colombo: “Military commanders who led the successful campaign to crush separatist Tamil Tiger rebels in 2009 should not be humiliated in any way.” This remark targeted the prosecutions and investigations by Bribery Commissioner for corruption against military officials. On March 28, 2017: Former President Chandrika Kumaratunge, who is head of National Unity and Reconciliation stated in Jaffna that “Sri Lankan soldiers who fought in the civil war will not be dragged into court because of the demand of Tamil Diaspora: We have no intention to drag the soldiers before the courts and send them to gallows.” She further said that “Tamils are not demanding punishment or trials for Sri Lankan soldiers.” How she ascertained the views of two million and other Tamils living abroad is the six million dollar question. On March 28, 2017: President Sirisena made a climaxing statement when he said that “I would take fullest responsibility on behalf of war heroes.” By this sweeping statement the President has taken over all the allegations of War Crimes, etc, made against the security forces. Above all, President Sirisena’s requesting help from newly elected US President Donald Trump is only showing his desperation and troubling position of Sri Lanka in the United Nations and/or UN Human Rights Council while exploring all avenues to extricate itself from the mess resulting from the war. In conclusion, nothing is more obvious than the Sri Lankan Government’s stand to deviate and or reject and disregard the UNHRC recommendation calling for foreign lawyers, judges, etc. All the contradictory statements are leading to the above conclusion only, with each actor dishing out differing excuses and reasons to placate and stifle the opposition in the South and derail the accountability, justice and reconciliation process. The argument that a War Crimes investigation will create ethnic tensions and act as an obstacle to reconciliation is nothing but empty rhetoric. A victim of a criminal offence always demands appropriate punishment before everything else. Accountability is the universally accepted principle in the criminal justice system all over the world in democratic countries. By denying or keeping it away, it is only an assault on the rule of law, an insult to the criminal judicial mechanism and a slap on the victim of crime. Above all, it accepts and promotes impunity. It encourages commission of crimes with no fear of prosecution and fails to prevent recurrence. It is like asking the husband to behave as friends with the killer of his wife or any family member with no charges filed against the killer. The Government’s argument that the constitution does not permit foreign judges or jurists is also hollow and baseless. No constitution in the world is drafted with a provision to allow foreign judges or personnel. If there is no prohibition, it is perfectly legal to allow foreign judges, etc, provided the proper procedures are followed by the President and or Judicial Service Commission. In the face of the Government’s firm decision rejecting foreign jurists and the firm undertakings to protect the security forces with declared impunity, the necessity to establish an internal judicial mechanism also does not arise, except only to haul up the released and rehabilitated Liberation Tigers of Tamil Eelam (LTTE) cadres including K. Pathmanathan known as KP. 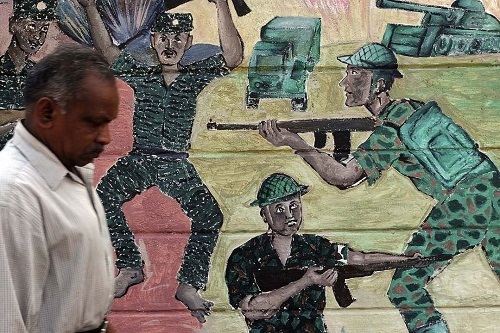 This internal judicial mechanism is all the more irrelevant and will be an exercise in futility in the face of the Government’s denial of any War Crimes, etc, committed by the security forces, as declared by the Foreign Minister Mangala Samaraweera on March 18, 2017 in Colombo. Sri Lanka is sitting in a position employing its time tested tactics on promises, friendly cajoling, delaying, diplomatic manoeuvring and lobbying to avoid the punishment of the UN or other countries and expects the Resolution to become stale. There is no doubt that the Resolution on March 23, 2017 requesting Sri Lanka to implement the 30/1/15 resolution fully will surely remain fully unimplemented until another UNHRC Resolution is passed with another extension of time. With an embedded system of impunity in the Sri Lankan Judicial system, international community and UN are the only hopes for the suffering Tamils to secure the long denied justice and not leaving them in the lurch opting for radical options. 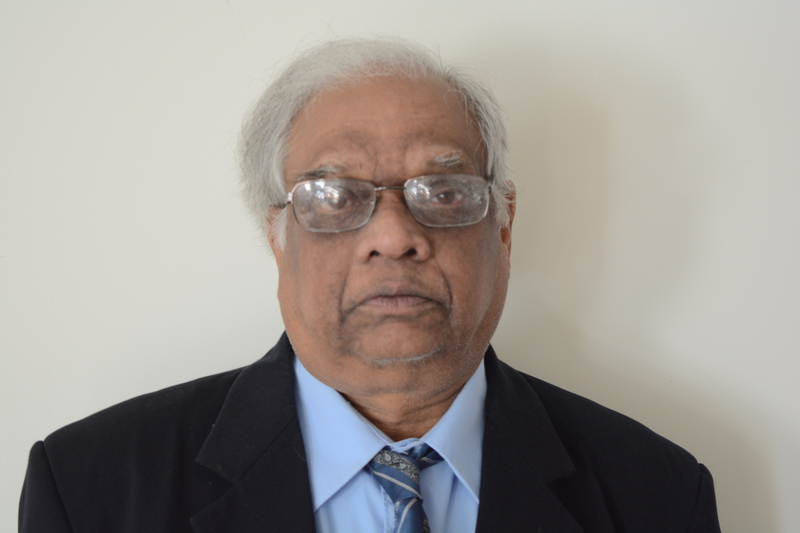 Kumarathasan Rasingam, a Human Rights activist and former President of the Tamil Canadian Elders for Human Rights Organization, migrated to Canada from Sri Lanka in April 2011.